Emboldened by several newsworthy success stories, personal injury attorneys around the country are pursuing legal action against employers who offer a 401(k). Not only could this trend prove troublesome because of the very public nature of class-action personal injury suits, but this could also have huge implications for employers for years to come, as business owners can be held personally accountable for their company 401(k) plans. Here’s why there has been a rise in legal activity surrounding 401(k) plans lately, and what you can do to protect yourself against lawsuits like this. The Employee Retirement Income Security Act of 1974 established the rules that make 401(k) plans possible, and it names you, an employer, as a fiduciary in your plan. A fiduciary is someone who is held legally responsible to make decisions in the best interests of others—in the case of a 401(k), that mny, but you as an individual who is responsible for the decisions you make. For example, you’re expected to make reasonable decisions when it comes to things like administrative work, choosing good partners to help with the plan, and managing investments. It’s that last part—managing investments—that can get some employers into legal trouble, especially when it comes to investment fees. Employees pay 95% of these fees, so you need to ensure those fees are reasonable.1 Sometimes, however, it’s not entirely clear what fees are being paid to which providers and why. In a practice called revenue sharing, administrative fees are often subsidized by investment fees. In revenue sharing, investment fees may also include indirect payments made to fiduciaries and consultants. It’s a common way some 401(k) service providers hide additional fees paid by employees. There’s nothing illegal or inherently wrong about this practice, but it’s a big target for 401(k) lawsuits because of how easily it can lead to unreasonable fees. Since revenue sharing makes it hard to tell how much you’re paying individual service providers, it might seem like a plan’s administrative fees (for example) are reasonable, when in fact they’re much higher than typical, similar plans.2 To the plaintiff’s attorneys, however, it doesn’t matter if fees seem fair. Over a decade ago, attorney Jerry Schlichter began making a name for himself by filing lawsuits against large employers like Boeing and General Dynamics.3 Since then, he has won many cases and lost some others, but all along his motivation has remained the same: Expose the retirement industry’s practice of siphoning away retirement savings in the form of excessive fees. A big part of that is drumming up publicity around employers who fail to meet their fiduciary obligations in order to draw out other employees who may have been hit with unreasonable fees. 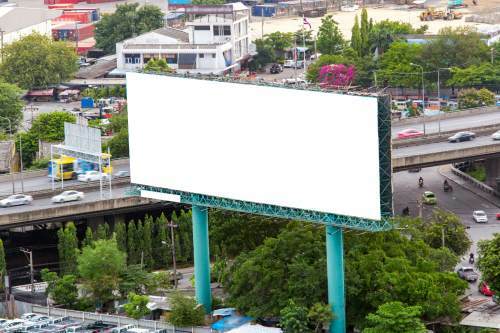 The last thing a business owner wants is to see their name (or their service provider’s) in a news article or on a billboard for this kind of negative publicity. At first, Schlichter got the most attention for pursuing these suits, and his targets were high-profile businesses with millions and potentially billions of dollars in assets in their 401(k) plans. In recent years, however, Schlichter’s suits have had the effect of creating more widespread awareness about excessive fees in plans of all sizes. As I travel around the country meeting with retirement service providers and employers who offer 401(k) plans, I’m noticing a dramatic increase in the amount of advertising surrounding 401(k) litigation. Where I used to only see billboards for plaintiff’s attorneys offering personal injury services, I’m now finding those same regional firms advertising their ability to win claims related to 401(k) wrongdoing. As public awareness of these suits rises, it’s only going to bring more scrutiny on employers of all sizes who offer 401(k) plans. If this has you concerned about the fees on your company’s 401(k) plan, you will want to make sure you understand your plan’s fees and work to keep them reasonable. Talk to your 401(k) service providers. Ask to review all of the fees associated with your 401(k) plan, and also request a fee benchmark so you can see how your expenses compare to those paid by other, similar companies. If you see a fee you don’t understand, or find an expense that looks unreasonably high compared to others, ask for an explanation and, if necessary, a reduction in cost. Additionally, employers can outsource much of their fiduciary liability to a trusted 401(k) partner. Different service providers can offer different levels of fiduciary service, from sharing in your administrative liabilities to taking on the risk of choosing and monitoring investments from your plan. I expect these lawsuits to increase in number over the coming years. Don’t wait until a lawyer comes sniffing around your plan. Follow the steps I’ve outlined here and protect your company’s 401(k) today.